Hey babes! Thank you SO much for coming to me for your gift inspiration. I had so much fun gathering these ideas together for you! If you love any of the items below, just click on the image and you will be re-directed to the site to shop! I do receive a small payment for each purchase made when you shop through my links which helps me keep the blog going for posts like these 🙂 So, if possible, please shop using my links! I’ll also be adding to these guides as the month goes on so be sure to check back! 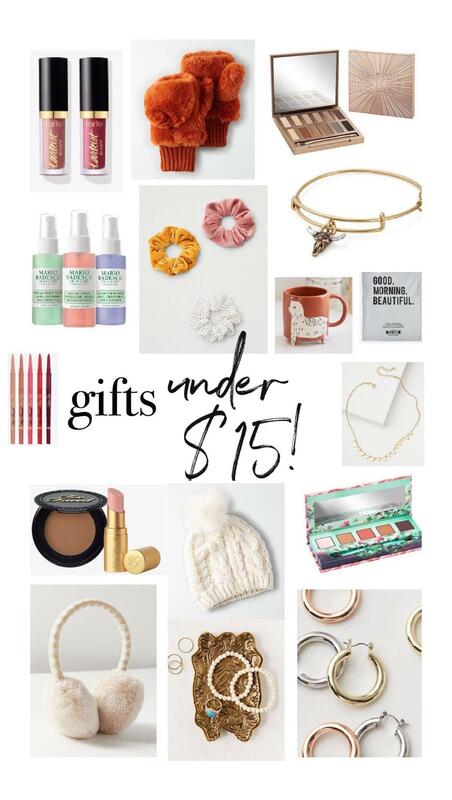 More gift guides: Gifts For Her, Gifts For Him, Gifts For Him Under $50, Gifts Under $100, Gifts For Her Under $50, Gifts Under $15, Gifts for the Home Lover, Gifts Under $15 Gifts for Mom!